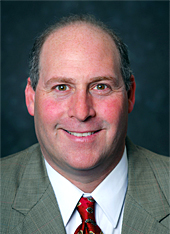 David West, D.O., received his medical degree from the University of Rutgers. He completed his orthopaedic residency at Dallas/Ft. Worth Medical Center in Texas. Upon completion of his residency, Dr. West spent four years on Active Duty with the United States Army at Fort Hood, Texas, as a Staff Surgeon in the Department of Orthopaedic Surgery. In August 2000, he moved to Tennessee and settled into private practice when he started West Sports Medicine and Orthopaedics. Dr. West is Board Certified by the American Osteopathic Board of Orthopaedic Surgeons (AOBOS) in Orthopaedic Surgery since 1999, and is a Fellow to the American Osteopathic Academy of Orthopedics (FAOAO). Dr. West holds membership in the American Osteopathic Association, American Osteopathic Academy of Orthopaedics, and has been a Major in the US Army Reserves. He is also an active member of the Impairment Registry for the State of Tennessee Department of Workers Compensation.